The "Merry Mex" is that rare combination of great talent and amiable personality that does not come along very often. His ability to mingle with the golf fans while playing high-caliber golf endeared him to fans throughout his career. 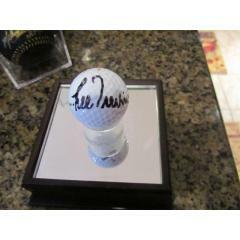 Here's a special piece for a collector or golf fan - an authenticated Lee Trevino autographed golf ball with Certificate of Authenticity from James Spence Authentication. Your purchase includes an acrylic baseball-size display cube in which to show your collectible. Order now and receive immediate shipping for we have this item currently in stock. Due to the rare nature of this offer we will charge your credit card for the full price immediately upon taking your order. This will ensure we reserve the ball for you. We will confirm your order by Email. 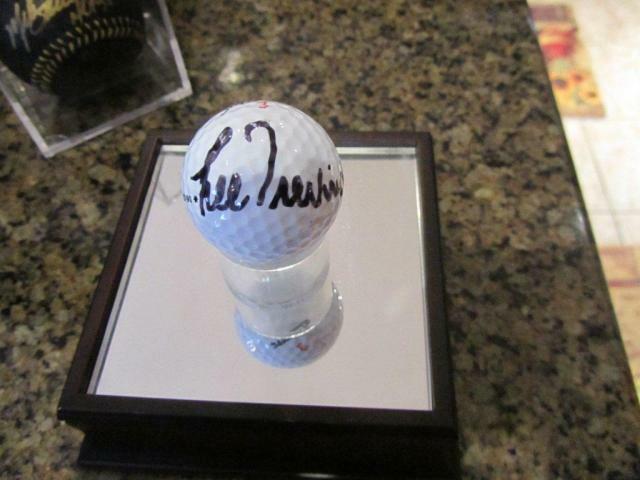 We have no evidence that this golf ball was used in an actual round of golf by Lee Trevino.